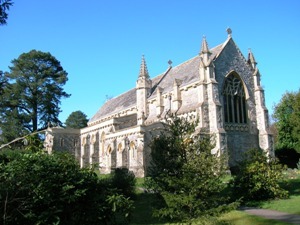 We start this page with another view of St Saviour's Church. At the time of writing this page, the temperature outside is around freezing point. It is hard to believe that a week ago, when the photo was taken, the temperature reached 19 degrees. 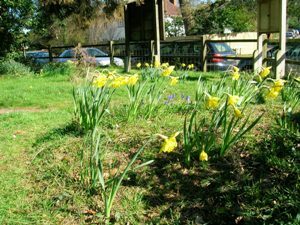 I hope the daffodils in the church grounds survived the frost last night. 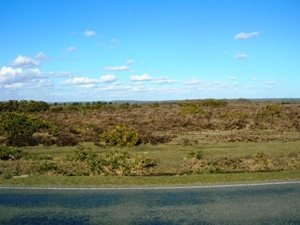 The third photo is taken on the edge of the heathland to the south-west of the church, giving a first glimpse of the open aspect of the countryside south and west of Brockenhurst. 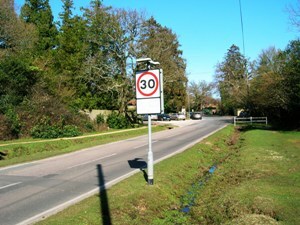 Much of the New Forest is subject to a 40mph speed restriction, as indicated here. 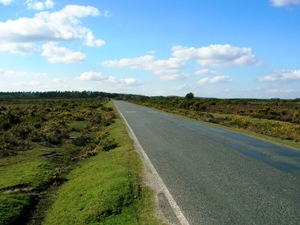 The first picture below is taken looking back into Brockenhurst. 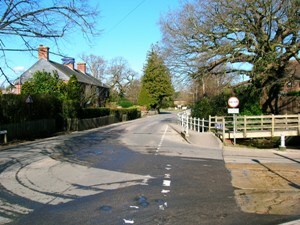 St Saviour's Church is hidden amongst the trees on the left, and the watersplash is at a turning to the right just beyond that, shown in the second picture. 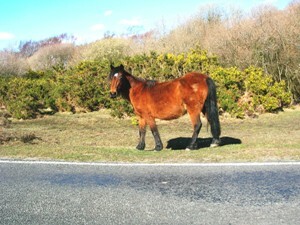 The final picture shows one of the local residents, a New Forest pony. 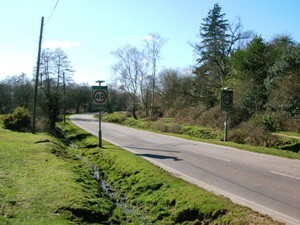 The final three photos are taken south of Brockenhurst just off the road to New Milton. Here, the land is very flat and open. Ponies graze on the heathland. 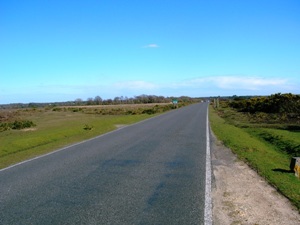 It would be very easy to put your foot down and break the 40mph limit, but why would you want to rush and not have time to take in the views?